Herb expert Margaret Roberts believes “We should be eating a lemon a day” and that’s not such a bad idea, with many people suffering from colds and flu’s this winter. 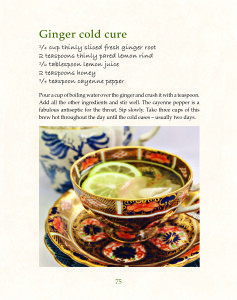 Lemons are ingredients used to make a simple cup of tea that is an excellent remedy for coughs and sore throats, and one of 60 teas described in this book. The teas are presented in alphabetical order according to their main ingredient and the therapeutic values which the author explains. All the recipes are set out and accompanied by beautiful photos. 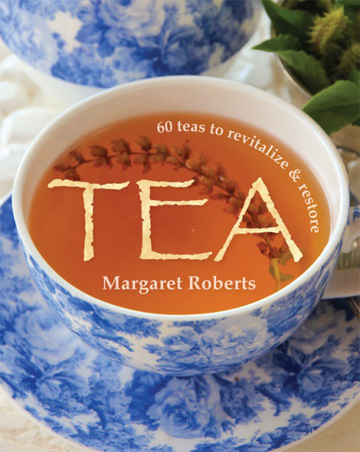 This is a very handy book to use all year round to revitalise and restore your spirit with a soothing cup of tea.